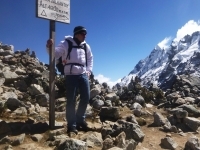 We had a fantastic time on the Salkantay trail with our guide, Carlos, and the other guests in our group.The challenge of the altitude and the steep climbs and descents were excellent for me. 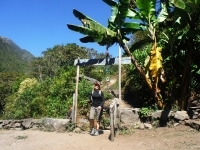 I am very please with the Machu Picchu trekking trip. I really enjoyed all the different days, but my favorite out of all the 5 must have been day number 2. 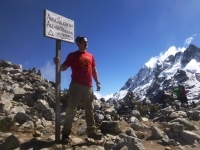 It was a real accomplishment to go to the top of Salkantay Mountain. It started with an early morning in Cusco, and from then on everything was organized perfectly and every plan executed. We had a diverse group, both in age and nationality but we were able to quickly bond and pool our resources and knowledge to cover any little problem that arose over the journey. 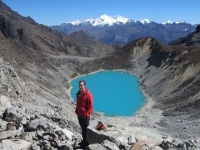 the Salkantay trek by Inca tail reservations is honestly a once in a life time experience. The guide (Carlos) is amazing. 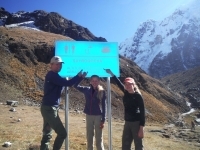 The Salkantay trek was one of the most wonderful experiences I've ever had, and I will surely recommend this walk to my friends and family. 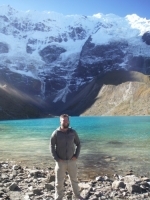 As a Peruvian-Australian I hadn't had a chance to get to know my native homeland, Peru, and this was a great way to exercise, get to know the culture and meet some new people. 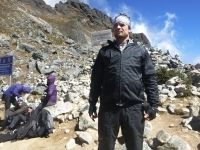 This trek was as much and more than anything I expected.The trek was very well organized right from the beginning when our guide Carlos met with the group the day before it started and gave great information on what was needed to to begin the journey. the scenery was amazing! 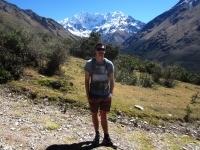 Salkantay Mountain is incredible! Day one was great getting used to hiking! The night was extremely cold . 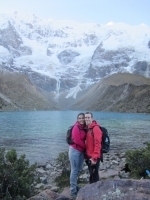 The Salkantay was one of the most beautiful experiences. the guides was amazing , he is very knowledgable about everything that touris needs to know, he know a lot about the flora ana fauna. very cool and Informed guide. Best guide, amazing food. But the timing was off at times. Always makes sure people are eating or swimming when the sun is high and hot. And walking when it is cool. I really enjoyed the time with your company. Americo was a great tour guide and we could not have asked for anyone better. 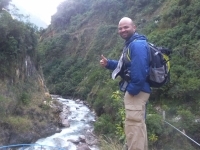 I very much enjoyed my trek to Machu Picchu with Americo and my friends. Along the way we learned a lot about Andean and Incan culture and history. 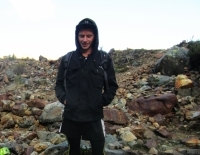 This was a really challenging trip, I am always trying to hike or run in trails that will leave a mark in my life. 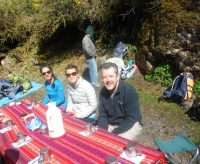 Thank You Inca Trail Reservations! This experience was amazing! 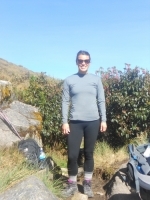 Trekking the Inca Trail is something I have always wanted to do and it was everything I expected. Wohoo! Words and photos don't do justice to the beauty of this trek. It's a magic that one can experience by walking these four days.